Martinis are the aristocrats of the cocktail world. There's a lot of lore surrounding the origin of the martini. The most popular tale involves a creation credited to a bartender in California around the turn of the 20th century. The drink was dubbed a "Martinez" in honor of the town where the saloon was located. This early version of today's popular cocktail was quite different, but it still contained the main components of gin and vermouth. However, sweet vermouth was the main ingredient with a little gin thrown in for balance. That mix would be considered an upside down martini by today's standards. As the original recipe was revised and refined through the years, one basic recipe emerged: a combination of gin and dry white vermouth. The less vermouth added, the "drier" the cocktail, so enthusiasts usually mix their beverage in a ratio of five to eight parts gin to one part vermouth. Of course, personal tastes do vary, and there is no wrong way to mix this drink as long as you're happy with the outcome. Popular garnishes include olives and lemon twists. 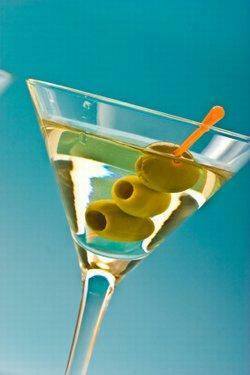 Eventually, vodka enthusiasts decided to substitute their liquor of choice for gin, and the vodka martini was created. This version of the cocktail subsequently became so popular that is has almost replaced the gin martini as the standard. In fact, if you don't specify that you want your drink made with gin, you will more than likely receive a vodka martini these days. That's just the beginning of the story. With martini culture making a comeback, who knows what the future may hold for this classic beverage. One thing is certain, you'll find everything you need to know about the martini in the articles included in this category, so check back often to see what's new.